OVO Mini Maze, these unique Chewable Mazes are great for providing your hamster with an interactive toy. These Chewable Mazes have pre-cut slots to hold the food or treats in place. 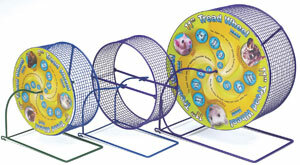 Your hamster will have hours of foraging fun chewing away at the maze in search of the food or treats. 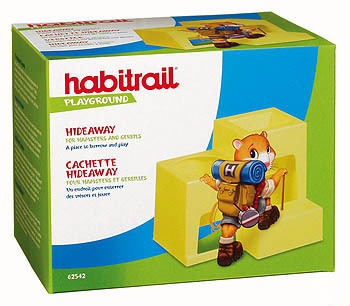 These Chewable Mazes help to satisfy your hamsters natural chewing instinct, while providing exercise and may help to alleviate boredom. The Habitrail OVO Mini Maze is an add-on to the Habitrail OVO system. It can be attached to any Habitrail OVO habitat or trail design and offers hamsters another place to hide or sleep. 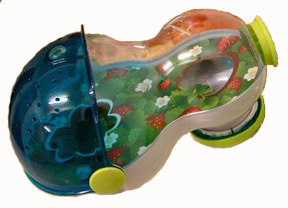 The Mini Maze comes complete with the interactive chewable maze, providing hours of foraging fun for your hamster. 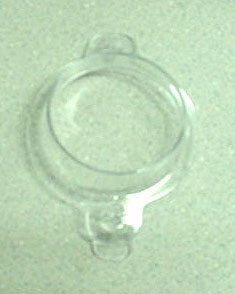 The Mini Maze has two openings to allow easier access to your hamster.